We help companies enhance their environment with high quality indoor greenery. We are a design-led interior planting studio, transforming spaces around London with air purifying, impactful greenery. In the city, we hardworking urbanites now spend 90% of our time indoors. 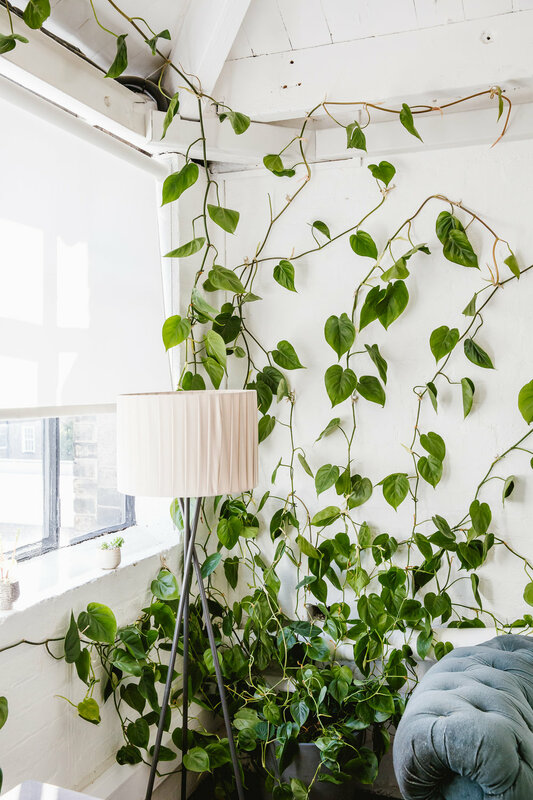 Research continues to confirm the positive connection between the integration of indoor plants and the wellbeing and productivity of those living and working amongst them. We help our clients to benefit from a better sense of calm and community, creating miniature jungles designed to inspire. In the spring of 2014, we found ourselves the guardians of a hidden conservatory on the edge of Hampstead Heath in North London. From here, we began sourcing and propagating weird and wonderful plants to help transform urban spaces around London. Our debut book ‘House of Plants - Living with Succulents, Air Plants & Cacti’, was published by Frances Lincoln in 2016. It became an instant best-seller, and has been translated into eight languages. Our second book, 'Root, Nurture, Grow - The Essential Guide to Propagating & Sharing Houseplants' was published by Quadrille in October 2018. You can order both books here. Want to work with us? We would love to hear from you. Please use our contact form and follow our journey on Instagram here.